For priority consideration, high school seniors must submit the Free Application for Federal Student Aid (FAFSA) by Jan. 15, 2019. The application makes students eligible for financial assistance to pay for college or career school. Students planning to apply for financial aid through FAFSA are encouraged to do so as soon as possible. Schools have various deadlines for accepting aid, and the federal deadline is June 30, 2019. FAFSA lets students apply for three types of financial assistance: grants, work-study funds and low-interest loans. Information and the online application is available here. A new app, myStudentAid, allows students to apply directly from Android and iOS phones. 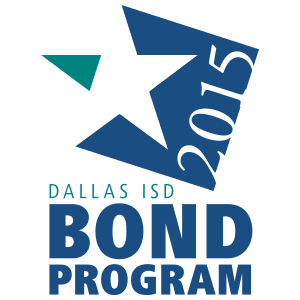 Additionally, the Dallas County Promise Pledge is also available for Dallas ISD students. Class of 2019 seniors must pledge by Feb. 8 to be eligible for free tuition and success coaching at participating colleges. Learn more about financial aid options available to Dallas ISD students here. Completing the FAFSA doesn’t cost you ANYTHING (hence the name, FREE Application for Federal Student Aid). Prior to submitting a FAFSA, you must create an FSA ID, which serves as your e-signature. You’ll use the same one each year. You’ll need one for a parent. Tip: if your older sibling applied for a FAFSA last year, guess what? One of your parents already has an FSA ID. You need to complete the FAFSA each year you attend school in order to keep receiving your award. The earlier you submit your FAFSA, the better. Texas Grant Awards are limited, especially if you apply after March 1. For the Pell Grant, you can apply the day before your start college, but you won’t receive your financial aid until October. That means you pay out of pocket until you get a refund check. Male students must register with Selective Service in order to be eligible for federal student aid. Why? Because it’s the law. All federal aid, including loans, grants, and work-study, requires a FAFSA on file. High earners may qualify for some form of aid, especially institutional aid. Submit a FAFSA even if you think your parents make too much money. Remember a grant is FREE money – no strings attached. For example, the maximum Pell Grant award is $6,095. FAFSA now uses “prior, prior year” tax data. Students enrolling in Fall 2019 will use 2017 tax data.